Sew Inspired: Collaborative Baby Quilt for AmyLouWho! Collaborative Baby Quilt for AmyLouWho! 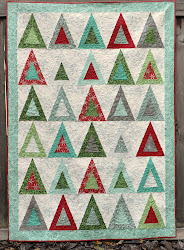 A few months back, I got together with a small group of blogging friends and we decided to collaborate on a baby quilt for our friend, Amy, of AmyLouWho! Today we are all blogging about the project--I'm excited to show you my part, and more excited to finally see pictures of the finished quilt! First off, Candy from Candied Fabrics dyed several wonderful colors of fabrics. We decided together to go with two shades each of both blues and greens, a brown, and a beautiful mottled pink. Candy sent all the fabric to me, along with fat quarters of the pink fabric to pass along to everyone who was working on the project. I haven't decided what to use mine in yet, but it is lovingly tucked in with my stash and I'm thinking about it! We decided to use my Simple Squares quilt pattern, and when I received the fabric for the quilt, I cut the fabric for the blocks and sewed up the A blocks. And then, after Rita and Amy got their blocks done, the quilt was taken to Natalia for quilting and binding. Finally it was sent on to Amy, who got it last week. Her baby girl is 3 months old now, and I think that's a great age for getting a new baby quilt! I had a great time working with Candy, Rita, Amy, and Natalia on this project--please stop by their sites and learn more about this collaborative project! I love it so much! 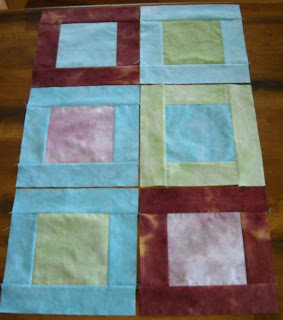 And I love your simple squares quilt pattern. I was just looking at it the other day for some inspiration for my other daughter's quilt. You guys are all so talented and I'm so honored to know you and have something you made just for me! Thanks again! We'll have to coordinate our trips to Utah next summer so we can meet in person! I love your Simple Squares quilt pattern and it made for such a unique and personalized gift for Amy Lou and Baby Maggie! 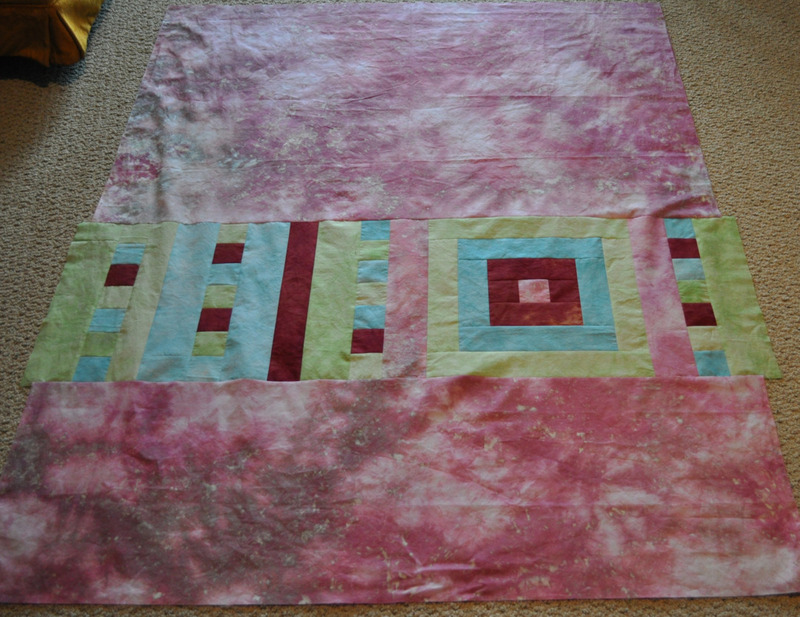 Your blocks were the perfect foundation for my applique! I would love to collaborate again! 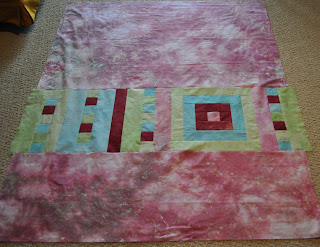 VIcki, your simple squares pattern was just perfect for the project! ANd the back...it's so awesome...we'll have to bug Amy to get a picture of the finished back!